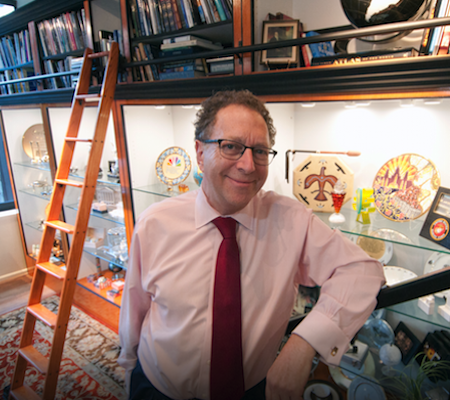 Keith Lipert, of Keith Lipert Corporate Gifts, was recently interviewed by The Georgetowner about his career in Custom gifting. With more than 30 years of experience, Lipert shares why gifting is so important and how he’s found gifting solutions for businesses, politicians, and corporations for decades. “’I don’t think there is another store like mine in the world.’ Keith Lipert Gallery, the M Street store he ran since the 1990s near the Four Seasons, was transformed last year into his Canal Square showcase, where he holds court today. Lipert’s career has been about artful gifts, exquisite jewelry, Italian silver plates, unique presents for the family and, particularly, presents that tie the corporate world together and create opportunities for diplomats. ‘My role is to do the research, do some thinking and present choices,’ he says. ‘We have a different point of view, that gifts tell a story,’ says Lipert, who calls his business an oasis of gift-finding that ‘reflects you’ and is also about ‘your company or your country. Gifts are the vehicle that show that you care,’ he says. ‘While gifts show gratitude and act as a reward for some, on another level gifts can help change perception and even provide a safe space where participants can talk — about the gift, if selected wisely,’ Lipert adds. ‘Such gifts are placed in homes or office and sort of live forever. A good example is Churchill’s home, where gifts from FDR and Stalin are displayed. Clients have included kings, queens … and madams. Lipert is proud of his more than 25 years in Georgetown matching unique gifts with their recipients. If you are in need of a custom corporate gift, let the experts at Keith Lipert Corporate Gifts assist you. We’ve been creating corporate and diplomatic gifts for over 30 years.